UPCOMING – FIRST COUNCIL FORUM 2016 IN BERLIN ON OCTOBER 21ST AND 22ND | Harvard GAC e.V. It is official: The first Council Forum will take place at the Federal Foreign Office in Berlin on October 21st and 22nd. This first event of its kind in Germany aims to reconnect the alumni (200+ speakers, 50+ partners, 200+ team members) of the eight previous German American Conferences as well as the new friends of the GAC community. Juergen Hardt, a Christian Democratic Union member of the Bundestag and Coordinator of Transatlantic Cooperation, will be the host of this event. He will also give a keynote speech on the U.S. Election 2016. All visitors can look forward to an exciting get together with speeches by thought leaders, exchange of ideas as well as fantastic networking opportunities. We are excited to welcome you at the heart of the German diplomacy – the Federal Foreign Office. Just 18 days before the US Election, this part of the Council Forum will give us up-to-date insights on the last leg of the presidential campaign. To ensure a smooth admission to the event, please bring a photo identification (identity card/passport) and arrive no later than 14:50 at the main entrance; no late entrance possible. Dresscode: Formal. Signing up only through the Council’s sign up sheet is not sufficient! 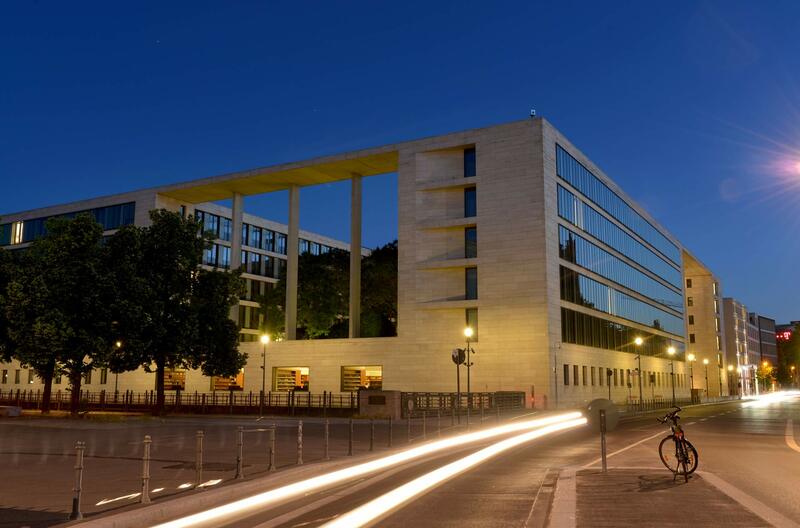 There will be a group of participants going directly from the Federal Foreign Office to the Deutsches Historisches Museum after the reception. Please join us for complimentary drinks, which is a great opportunity to meet old and new Harvard friends as well as GAC friends in a casual setting and dance the night away. Please enter the bar between 21:00 - 23:00 to benefit from the complimentary drinks night. The bar is located in 10 minute walking distance from the “Deutsches Historisches Museum”. Alcoholic and non-alcoholic drinks are free as long as stock lasts. Admission is also free for you! Spots for this great event are limited. This evening program is made possible thanks to our generous sponsor Hoesch & Partner. The panel features four young leaders with diverse leadership experience in the public and private sector. With a focus on key security challenges for the transatlantic partnership, it discusses opportunities for young and emerging professionals to help shape security policies and debates. It offers four distinct perspectives from government institutions, multilateral organizations and academia. All panelists will share their personal insights of what it means to work on security in highly different organizational settings, sector logics and cultural environments. Experience our new “Intimate Dinner Series”. The standing dinner format allows you to actively engage in discussions with a variety of interesting speakers and guests. Have a good conversation with old friends and make new ones when joining other high tables. The intimate dinner combines both innovative cuisine and three Michelin star character conversations – the perfect complement to the SOHO HOUSE BERLIN’s chic, modern setting. Selection of Bites & Bowls (e.g. Hokkaido, curry, almonds & mango; Fried prawn, chili & lime; Shaved lamb, chicory, mint froth; Pistachio Mille-Feuille, spiced plum) and 3hrs of free drinks (house wine, beer, soft drinks, and tea & coffee). P.S. If you wish to stay in life long contact with Harvard and the German American Conference, feel free to apply for a Council Membership here.